The brand’s crew line has chosen to roll out an impressive 10th anniversary pack, paying homage to a pair of editions that dropped back in 2005 and are coming back this year !!! 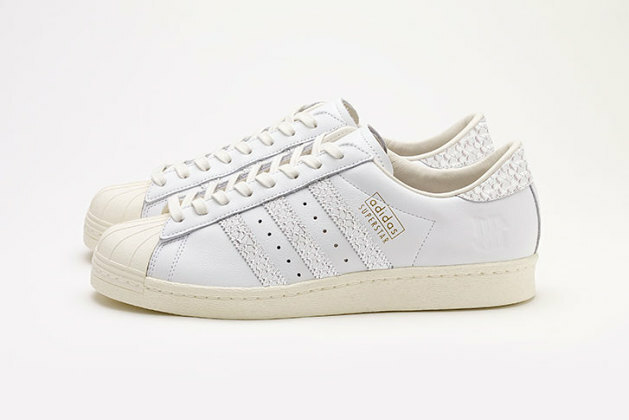 First up is theSuperstar x UNDFTD. Back in 2005, adidas and streetwear label UNDFTD released their first-ever collaboration and have been at it ever since. 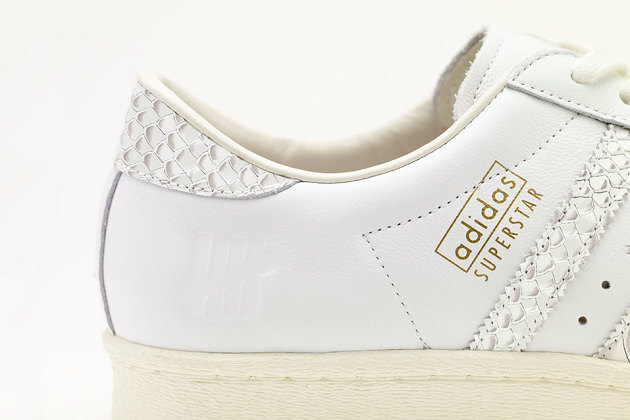 This time around, the Superstar showcases a clean white leather upper with reptilian detailing. (Which i totally love !! ) Off-white laces play complement, coinciding with the toecap, lining, laces and midsole. 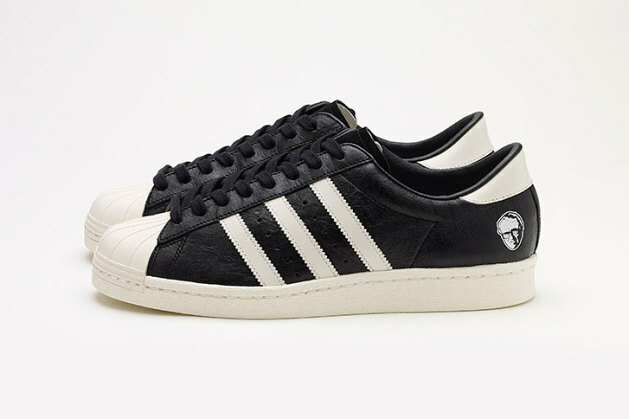 UNDFTD’s branding has been embossed at the heel, with adidas’s branding being present on the side. 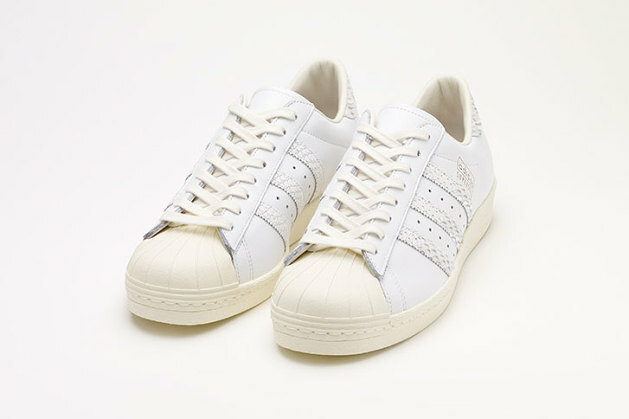 Rounding out the duo is the Superstar x Dassler. 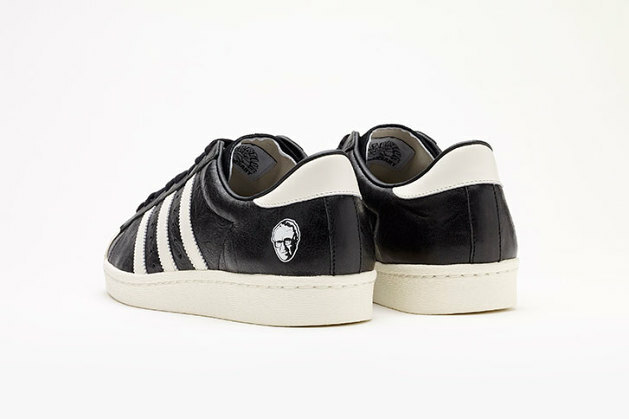 The sneaker was created to pay homage to the brand’s founder, as it features a picture of Adi Dassler on the heel. 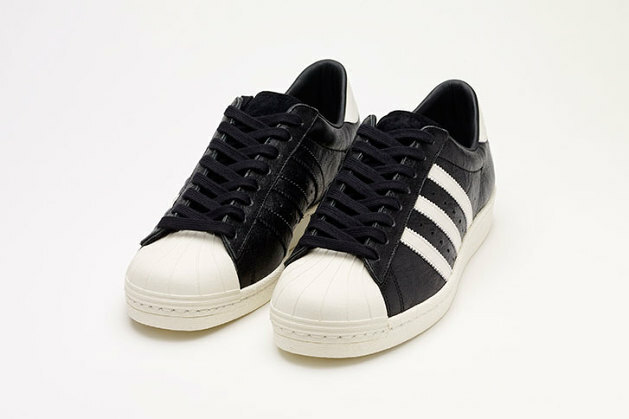 The 2015 release sees the colorway being flipped( black with white lines ) , boasting soft black leather draping the upper. 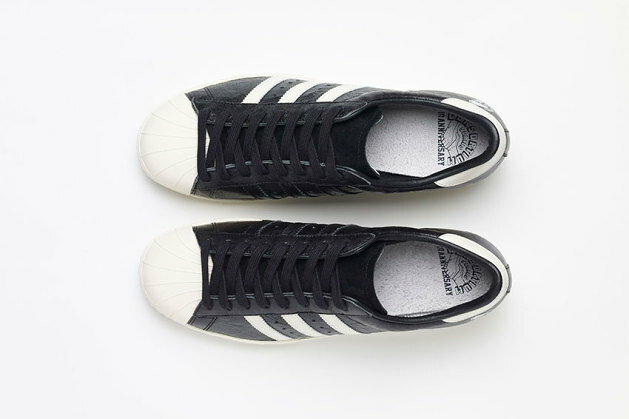 Leather Three Stripe branding then matches the signature shell toe, the heel padding, and the midsole, with both black and white laces accompanying the pair. 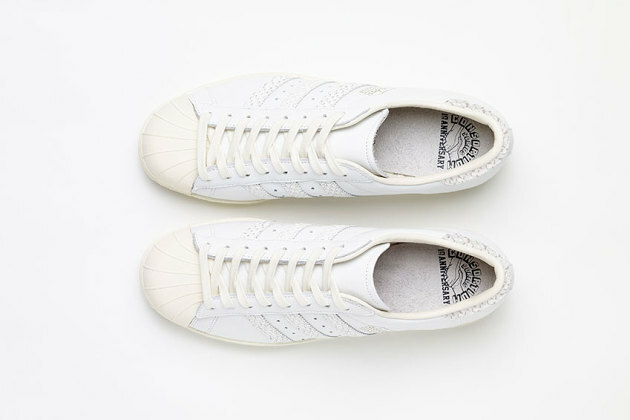 You can look for each 10th anniversary edition of the Superstar from adidas Consortium to release at select carriers on January 31 and to retail for $150 USD/€120 EURO each. Posted in HOME and tagged dassler, guyswithstyle, icon, menssneakers, menswear, must read, originals, reptilian detailing, shoeporn, shoes, sneakers, streetstyle, superstar, undftd, Womenswear. Bookmark the permalink.